Here’s a fantastic project. 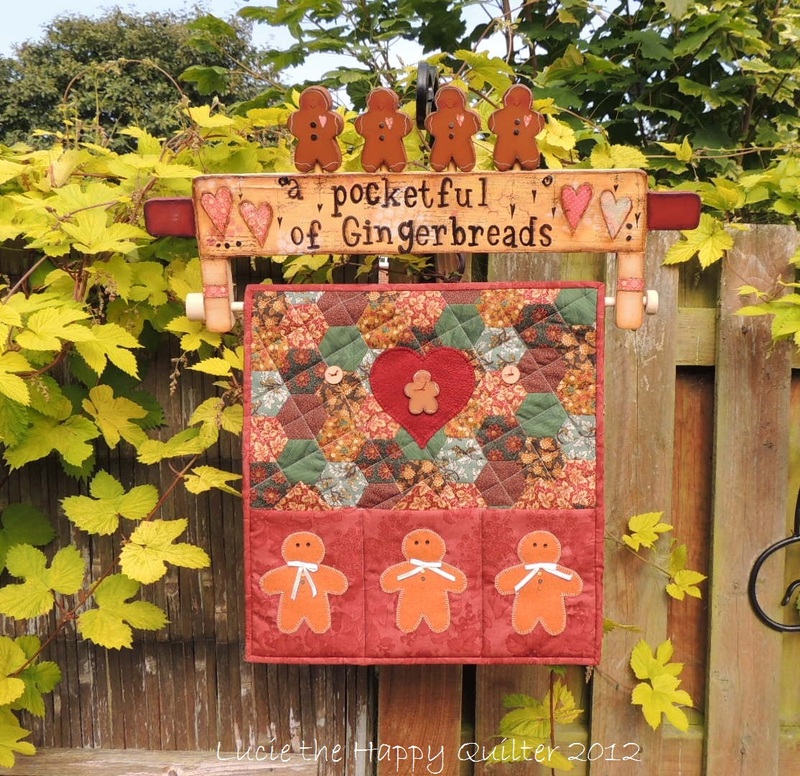 This whimsical Gingerbread Pockets project is not only easy to make but very useful for storing your treasured tools whether they are tools for sewing, papercraft or even kitchen stuff. This project measures approximately 14” X 15” and has three useful pockets not to mention the cutest appliquéd Gingerbread men. Here’s my latest project. This great Dresden Sewing Tidy will make a funky addition to my sewing accessories. It’s perfect to take along to my sewing sessions. This project is a new twist on an traditional block. Finished size is 14-1/2″ X 8-1/2″ (closed). 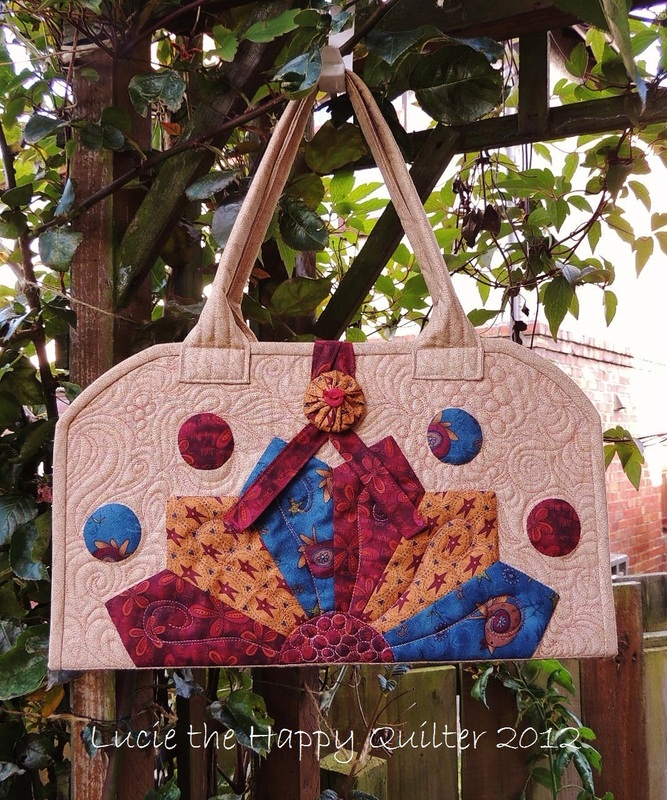 This project is perfect for holding my patchwork or stitchery blocks. 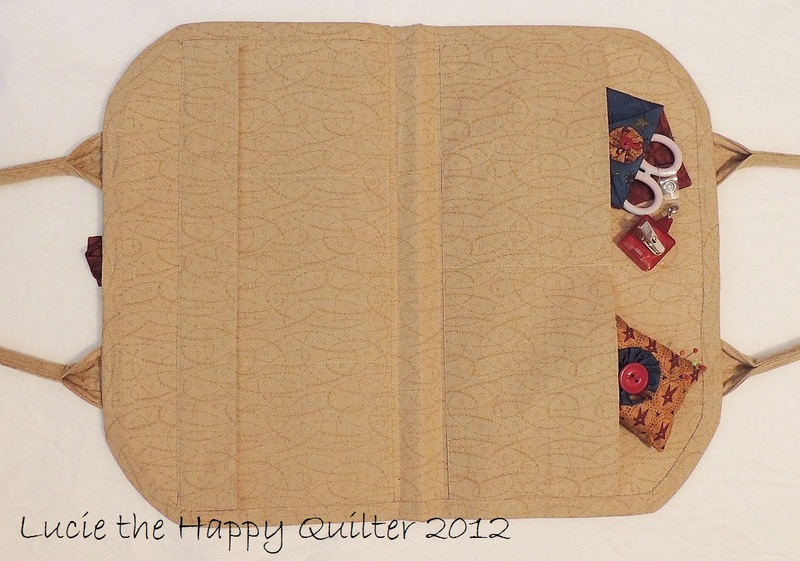 This block keeper is designed in two sections; it holds 12” blocks comfortably on one side and I can store patterns and tools in the pockets on the other side. It was a fun project to make and useful too. Here’s another very useful project suitable for all the beginners. This cutting mat bag is perfect for carrying my cutting mat and rulers to and from classes and sewing sessions. It was quite an easy project to work on and fun too! The Dresden Plate is such an effective block. how great do all those patterns look!! Oh I love the gingerbread men! Thank you. It was fun to design. I love whimsical projects. but you probably could already guess that! Thank you. 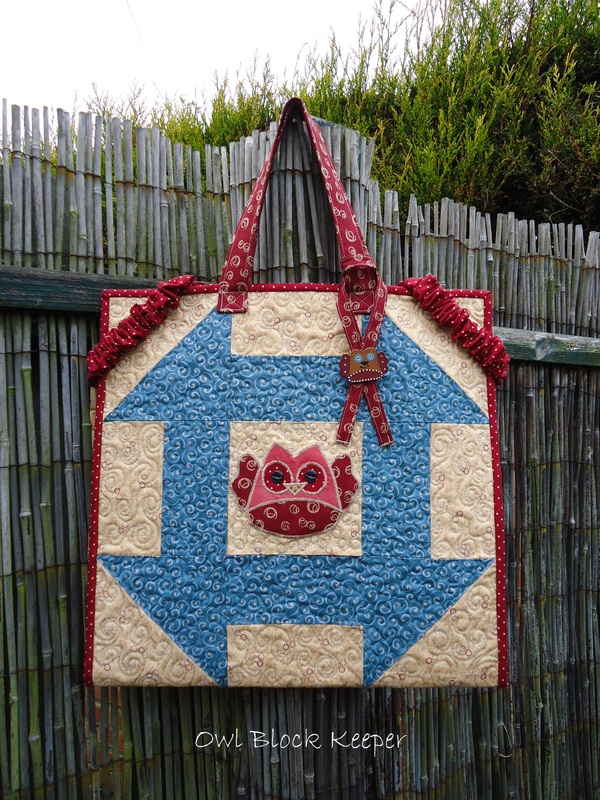 The owl itself was my artist friend’s design which I turned into applique. I’m so very lucky that she agreed to let me use it. All those patterns are very beautiful! That sounds like a great project. Thanks for popping in Joan. Happy stitching. OMG such beautiful pics. Lucky you. 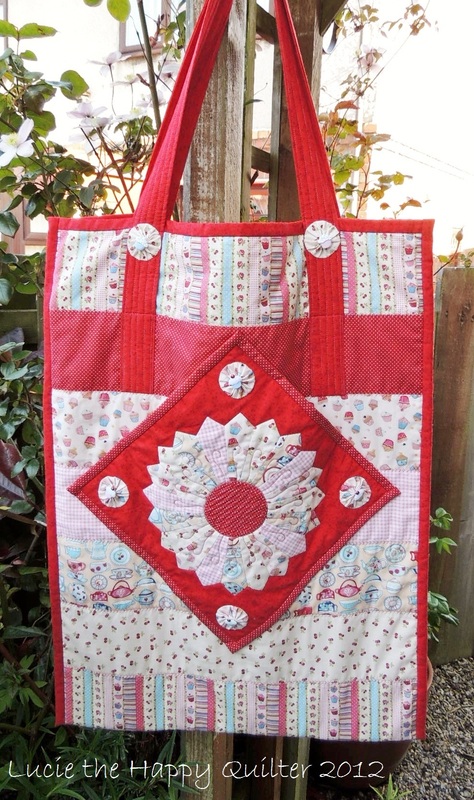 You have created a wonderful website with your beautiful, fun and whimsical sewn and quilted items. It makes me happy just looking through and I am looking forward to visited again and working through a few of your tutorials!